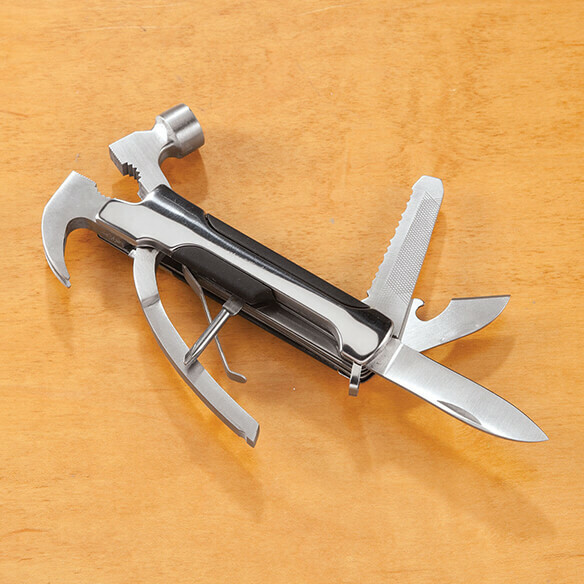 Carry a tool box in the palm of your hand! 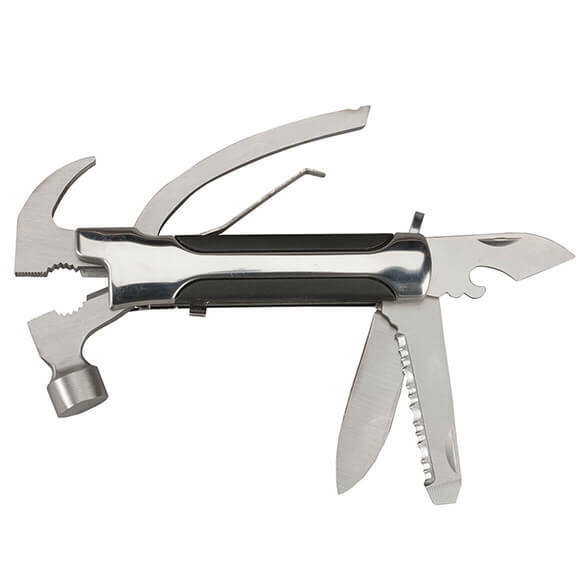 Handy 11-in-1 multi-function hammer tool includes everything you need for small tasks at home or on the go: hammer, flat-head screwdriver, saw blade, file, blade, bottle opener, knife, Phillips-head screwdriver, claw/nail puller, pliers and wire cutters. Convenient nylon storage bag makes storage easy, with a hook-and-loop closure and hanging loop on the back. Makes a great gift!